Protects your home & its contents from fires, smoke and pollutants Significantly reduces energy operating costs Dryers run more efficiently Dryers will last longer Clothes will dry faster. The United States Consumer Product Safety Commission has issued a special report detailing the fire hazards related to lint in clothes dryers and dryer vents. 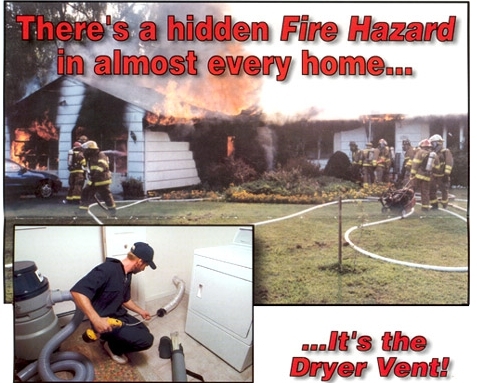 Approximately 15,000 fires per year are attributed to excessive lint in dryers and dryer vents. Additionally, dozens of deaths and millions of dollars of property damage occur as a result of these fires. 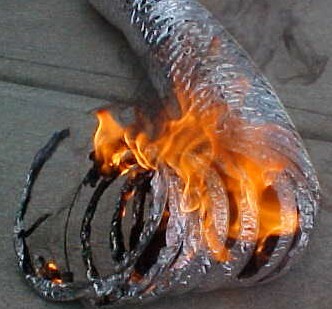 Fires can occur when lint builds up in the dryer or in the exhaust duct. 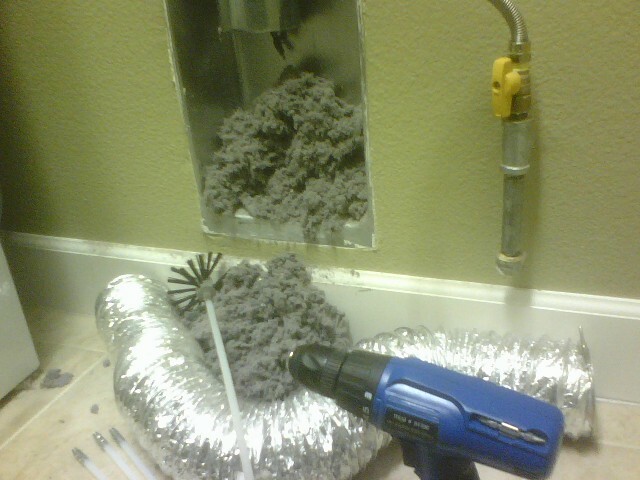 Lint can block the flow of air, cause excessive build-up and can result in a fire in dryers and where they are located. What are the COSTS of POOR Dryer Maintenance? 1. Increased Gas Utility Costs due to Restricted Airflow. 2. Damage to expensive clothing. 3. Over heating that will result in a Dryer fire! 4. Long Drying times in excess of 45 minutes. 5. Dangerous fumes in your home! Breathe easier! Feel better! Save money! We recommend that you have your air ducts cleaned every two or three years for a healthier home. Your home's Indoor Air Quality (IAQ) is important. Having a clean, properly functioning heating, ventilating and air conditioning (HVAC) system is vital to maintaining a clean healthy and comfortable living environment. And a newly cleaned system runs more efficiently than a dirty one, resulting in lower utility bills and a cleaner, less dusty home. Dust, dirt, pollen, animal dander and other airborne contaminants are pulled into your HVAC system every time the furnace or air conditioner runs. 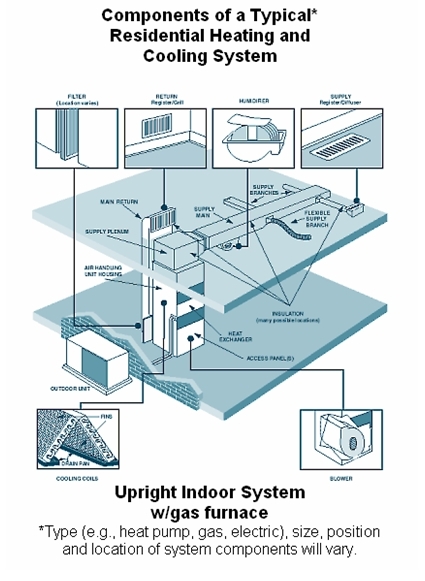 Over time, they build up inside your ductwork, making your system a breeding ground for mold spores, bacteria, fungus, mildew and other microbes, which are then re-circulated through your home, impacting the health and comfort of your family. Those who suffer from allergies, asthma or other respiratory ailments, especially children and the elderly, are vulnerable to the effects of indoor air pollution. Air Duct & HVAC System Cleaning Procedures: The first step of our services is the removal of the registers and return grills; they are taken outside the home and cleaned thoroughly. We then hand vacuum and brush the interior of the supply and return ducts using a plastic flexible hose with a brush attached to the end, which is turned spirally back to the furnace. 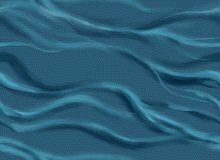 We use HEPA filtered vacuums, which prevent microscopic dust and fiberglass particles from getting blown into the air during our cleaning process. All furniture will be covered that is necessary during the cleaning process. After all ducts have been cleaned we spray a hospital disinfectant throughout the entire system, which eliminates mold, mildew and other irritants that cause odors and allergies in the home.